The gallery Semjon Contemporary s|c, founded by Semjon H. N. Semjon in 2011 in Berlin, represents German and international artists from different genres, as i.e. painting, sculpture, installation, drawing, photography and video. 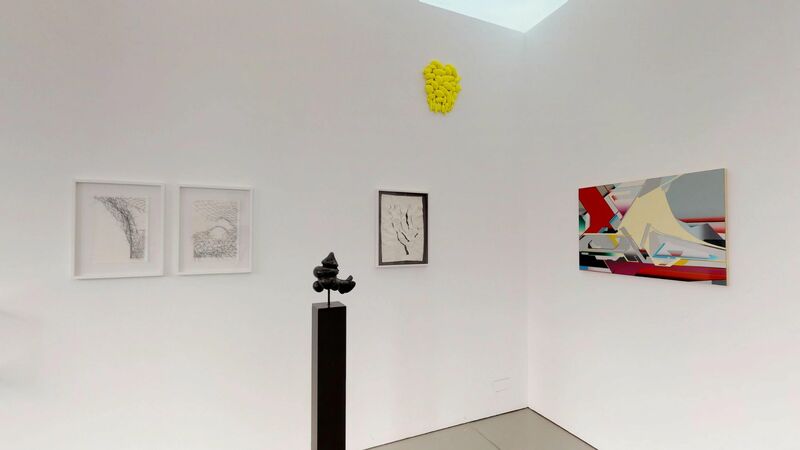 The gallery’s contemporary program is presented in two separate exhibition spaces: the main showroom as well as the so-called Straßen-Salon for solo exhibitions. They are supplemented by the other Salon cabinets for simultaneous display of works by various artists, the gallery’s resident artists as well as guest artists. Besides the main focus of representing the gallery’s artists, Semjon Contemporary is also engaged in projects as i.e. the drawing exhibition series Lieber Künstler, zeichne mir!/Dear artist, draw for me!, which addressed the issue of abstraction and figuration with artworks by more than 120 artists (including the majority of the gallery artists), acompanied by two substantial catalogs. Another important project realized by Semjon Contemporary was a substantial retrospective exhibition in 2015 in all gallery rooms presenting works by Ursula Sax. Planned for autumn 2017 the retrospective exhibition, showing photographies and photograms by Gerda Schütte, is already on display. Both retrospective exhibitions were supplemented by a differentiated catalog and a comprehensive photo book (the latter published by Kehrer Verlag). Furthermore, the gallerist is also interested in expanding the radius of the gallery’s activities and organizing events at other locations, i.e. curating solo or group exhibitions with the gallery’s artists or guest artists. In order to promote the artists’ visibility on the art market, Semjon Contemporary has kept appearing on international art fairs like Preview Berlin 2011 and 2012, Positions Berlin 2015, Art Bodensee from 2013-17, Solo Project (Basel) 2015, Art Rotterdam 2016 and Volta NY 2017. Occasionally, the gallery welcomes the opportunity to undertake an excursion into yet another genre, as with the past Raku exhibition by Cornelia Nagel in November/December 2016, which concentrated on the ceramics by the raku master. Semjon H. N. Semjon, born in 1962, has studied Art History and Classical Archeology as well as Fine Arts with Georg Baselitz. Since 2011 his artistic practice has gradually turned into a long-term artistic sabbatical, which is still continuing.